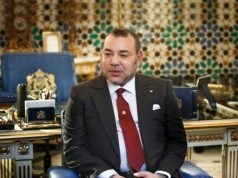 HM King Mohammed VI addressed, on Friday in Rabat, a speech to the nation. I am addressing you today to renew our joint commitment through a new Constitution, which represents a watershed event in the process of completing the construction of a State based on the rule of law and on democratic institutions, and to firmly establish the principles and mechanisms of good governance, provide for dignified citizenship and ensure social justice. This is the ambitious project I set out to achieve since my accession to the Throne, in close conjunction with the nation’s stakeholders. Thanks to this approach we have managed, three months after having launched a constitutional revision process, to develop a new democratic constitutional charter based on the frame of reference set out in my historical speech delivered on 9 March 2011, which received unanimous national support. It is also based on the appropriate suggestions made by political parties and trade unions, community groups and youth organizations, as well as the creative work of the Advisory Committee, in addition to the constructive efforts of the Political Mechanism, both of which have been set up for this purpose. I should like to commend the democratic contribution of all the parties and stakeholders involved. Through this participatory approach, we have managed to overhaul the current Constitution and develop a new constitutional text. The latter has unique characteristics relating to three aspects: methodology, format and content. As regards methodology, I wanted to make sure – and this is a first in the history of our country – that the new Constitution is drawn up by Moroccans, for all Moroccans. As for format, it is based on a new layout that concerns all its chapters, from the preamble – which is an integral part of the Constitution – to the very last article. The new text is thus composed of 180 articles, up from 108 articles in the earlier version. 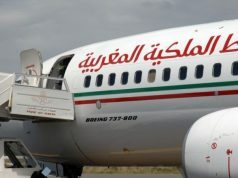 The first pillar is the commitment to the Moroccan nation’s immutable values, the preservation and sustainability of which is entrusted to me, within the framework an Islamic country in which the King and Commander of the Faithful ensures the protection of the faith and guarantees the freedom of religious practice. Enshrined in the draft Constitution are the status of our country as a constituent of the Maghreb, as well as its commitment to building the Maghreb Union, consolidating Arab and Islamic brotherhood as well as African solidarity, expanding and diversifying cooperation and partnership relations with its European and Mediterranean neighbors and with all countries around the world, and confirming Morocco’s status as a modern State committed to UN conventions, and as an active member of the international community. The second pillar confirms the features and mechanisms of the parliamentary nature of the Moroccan political system, which is essentially based on the principles of the nation’s sovereignty, the supremacy of the Constitution as the source of all powers, and the link between public office and accountability, as part of an efficient, rational constitutional system whose core elements are the balance, independence and separation of powers, and whose foremost goal is the freedom and dignity of citizens. 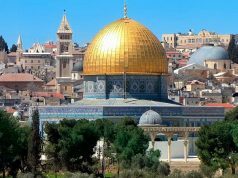 A separate article concerns the exclusive religious powers of the King, Commander of the Faithful and President of the Higher Ulema Council, an institution which has been elevated to the constitutional rank. Another article specifies the status of the King as Head of State and the country’s Supreme Representative. He is the symbol of nation’s unity and guarantor of its continuity and sustainability, and of the Kingdom’s independence, sovereignty and territorial integrity. The King is trustworthy guide and the supreme arbitrator who is entrusted with the task of safeguarding democratic choices and ensuring the proper functioning of constitutional institutions; he is above all types of affiliation. The King shall exercise the duties relating to sovereignty, arbitration and the guarantees he provides, and which are mentioned in this article, in accordance with the provisions expressly stipulated in other articles of the Constitution; legislation shall remain the exclusive jurisdiction of the Parliament. Specify that the person of the King shall be inviolable, and that respect and reverence shall be due to him as King, Commander of the Faithful and Head of State. Set the legal age for the King at 18, instead of 16, as is the case for his Moroccan brothers and sisters. Entrust the presidency of the Regency Council to the President of the Constitutional Court, given that the latter is the institution in charge of upholding the Constitution. This reinforces the core mission of the Council. All constitutional powers are to be represented in it as a result of adding to its membership the Head of Government and the Deputy Chairman of the Higher Council of the Judicial Branch; similarly, the Ulema’s representation in the Regency Council will be enhanced, since the Secretary-General of the Higher Ulema Council will be a member of the Regency Council. Given the cohesion characterizing the various components of our unified, rich and diverse national identity – including the Arabic-Islamic, Berber, Saharan, African, Andalusian, Jewish and Mediterranean components – the draft Constitution confirms the status of Arabic as an official language of the Kingdom, and provides that the State pledges to protect and promote it. It also provides for constitutionalizing the Amazigh language as an official language as well, within the framework of a pioneering initiative which is the culmination of a course of action to rehabilitate the Amazigh language as a heritage belonging to all Moroccans. The official character of the Amazigh language will be gradually implemented through an organic law, which will specify the ways and means of integrating it in teaching and in basic public sectors. In parallel, the draft Constitution provides for the promotion of all linguistic and cultural expressions in Morocco, particularly the Hassani culture, which is a characteristic feature of our beloved Saharan provinces. Consistent with my keen desire to upgrade the skills of our youth and of our human resources – so that they may access the knowledge and globalization-based society, and at the same time have a good command of science and technology -, the draft Constitution mentions the need to learn the world’s foremost international languages, within the framework of a well-thought, coherent strategy that would bolster national unity. This is a task which will be supervised by a higher council whose mission will be to promote the Moroccan culture as well as our national and official languages, and to streamline the action of the institutions concerned, including the body in charge of developing the Arabic language. Third: Enshrining in the Constitution all human rights as they are universally recognized, with the applicable mechanisms and enforcement guarantees. As a result, the Moroccan Constitution will be a human rights Constitution as well as a charter for citizenship rights and obligations. In this regard, the draft Constitution provides for the pre-eminence of international covenants – as ratified by Morocco – over national legislation, as well as gender equality in civil rights, within the framework of respect for the Constitution, and for the Kingdom’s laws which are derived from Islam. The draft Constitution also provides for equality between men and women in all political, economic, social, cultural and environment-related rights; it sets up a mechanism to promote gender equality. The draft Constitution confirms the commitment to all human rights, especially the presumption of innocence and guaranteeing the conditions for a fair trial. It criminalizes torture, enforced disappearance, arbitrary detention and all forms of discrimination and inhuman, degrading practices. The draft Constitution also upholds freedom of the press and of expression and opinion, as well as the right to access information and to submit petitions, in accordance with norms and criteria specified in an organic law. The constitutional guarantees regarding the rights of the working class have been reinforced in order to promote social justice and national solidarity, in addition to freedom of private initiative and the rule of law in the corporate sector. In this regard, the constitutional status of “the Prime Minister” will be elevated to that of “Head of Government” and of the executive branch; he will be appointed from the party which wins the general elections, thereby confirming that the government will result from direct universal suffrage. Confirming the full authority of the Head of Government over cabinet members, the Constitution gives the Head of Government the power to propose and dismiss cabinet members, to steer and coordinate government action, and to supervise public service. Thus, the Head of Government has been given appointment powers, via decree, in civilian positions, in accordance with an organic law which will specify the list of these positions as well as the conditions required to hold public office on the basis of merit, transparency and equal opportunity for all Moroccans. The King, on a proposal by the Head of Government and at the initiative of the ministers concerned, will exercise the power of appointment, at the Council of Ministers, in some senior public positions, such as those of wali, governor, ambassador and the officials in charge of domestic security agencies and strategic national institutions. As for appointments in the military, they remain an exclusive, sovereign prerogative of the King, Supreme Commander and Chief of Staff of the Royal Armed Forces. The draft Constitution also empowers the Head of Government to dissolve the House of Representatives, and stresses that the King shall consult him before announcing the state of exception or the dissolution of Parliament. It specifies the conditions to be observed in each case in order to ensure the separation of powers as well as balance and cooperation between the branches. To provide the Government with a constitutional basis for the exercise of its regulatory and executive powers, the Governing Council has been enshrined in the Constitution; its powers have been specified and clarified in coordination with and in light of the powers of the Council of Ministers. The Council of Ministers is held under the chairmanship of the King, at his initiative or at the request of the Head of Government, who participates in its proceedings along with the ministers only. The King may delegate the chairmanship of the Council to the Head of Government, on the basis of a specific agenda, the aim being to enhance the executive authority of the Head of Government. As for the Governing Council, it is chaired by the Head of Government, at his initiative, with the participation of all cabinet members. As regards prerogatives, the Governing Council shall have extensive, specific executive powers, some of which will be of a decision-making nature, and others of a deliberative character; the latter will be referred to the Council of Ministers for decision, as part of the powers retained by the latter in terms of strategy, arbitration and general policy, including the preservation of macro-economic and financial balance, which has now became a constitutional norm. Fifth: A legislative branch which wields strong legislative and regulatory power as well as authority to assess government policy. The draft Constitution asserts the pre-eminence of the House of Representatives, which shall have the final say in the ratification of legislative texts. It will also have greater powers in terms of control over the government, especially as the government will be accountable only to Parliament. The power of legislation and the enactment of all laws will be the exclusive prerogative of Parliament, and the domain of law will therefore increase from 30 fields currently to more than 60 in the proposed Constitution. To raise moral standards in parliamentary action, the draft Constitution forbids party-switching and restricts parliamentary immunity to the expression of opinion only, to the exclusion of ordinary criminal cases. The draft Constitution also cancels the High Court of Justice for cabinet members, thus confirming the principle of equality of all citizens before the law and the judiciary. As regards the House of Councilors, and in order to rationalize its composition, the draft Constitution provides that it be made up of 90 to 120 members. In this regard, and in response to a request submitted by trade unions – and backed by political parties – regarding union representation in the second chamber, I have decided, as part of my arbitration prerogatives, to provide for appropriate representation of trade unions, professional organizations and national employers’ associations. This decision is fully consistent with the very nature of the Moroccan social monarchy, as well as with my system of governance, which places the improvement of the citizens’ social conditions at the heart of my concerns, in both political and practical terms. With respect to our fellow citizens living abroad, they will be represented in Parliament as soon as a democratic form of representation takes firm shape, knowing that they have the right to vote and to stand as candidates in both Houses. Sixth: Set up a special system and effective mechanisms for parliamentary opposition in order to enhance its status and role in enriching parliamentary action, in terms of both legislation and control. It now has the right to proportional representation in all the bodies and organs of Parliament. The draft Constitution also stipulates that the Head of Government shall make a progress report to Parliament on government action, and answer questions on public policy. Similarly, the draft Constitution lowers the quorum required to move a motion of censure, set up commissions of inquiry and refer bills to the Constitutional Court. Parliamentary committees will have the right to address questions to officials in charge of administrations and public institutions. Seventh: Enhance the status of the judiciary as a branch which is autonomous from the executive and the legislative branches, thus confirming the independence of the judiciary, of which I am the guarantor. The draft Constitution explicitly says that while judgments are pronounced in the name of the King, they must be consistent with the law. To preserve the inviolability of the judiciary, the draft Constitution criminalizes any interference, corruption or influence peddling with regard to the judiciary. Similarly, the draft Constitution sets up the “Higher Council of the Judicial Branch”, as a constitutional institution headed by the King, in replacement of the Higher Council of the Judiciary, with a view to giving administrative and financial autonomy to the new Higher Council. It also makes the President of the Court of Cassation Executive President of the Council – instead of the Minister of Justice in the current Constitution – the aim being to bolster the separation of powers. Similarly, the composition of the new Council has been enhanced by increasing the number of elected representatives of judges, as well as the representation of women judges, making sure Council membership is open to personalities and institutions operating in the area of human rights and the defense of judicial independence. Council powers have also been expanded to include, in addition to the judges’ career issues, the functions of inspection as well as the expression of opinions on legislative and regulatory texts relating to the judiciary, and assessment of the judicial system. To confirm the principle of the supremacy of the Constitution and the law, the Constitutional Council has been elevated to the rank of a “Constitutional Court” with extensive powers which, in addition to existing prerogatives, include checking the constitutionality of international conventions and ruling on disputes between the State and the regions. In order to promote democratic citizenship, this Court has been authorized to look into litigants’ claims regarding the unconstitutionality of a law which the Judiciary may deem detrimental to constitutional rights and freedoms. Education have been increased to include training and scientific research. Also enshrined in the proposed Constitution is the National Council for Human Rights. Moreover, the constitutional status of political parties, trade unions, professional organizations and civil society groups has been enhanced through the allocation of several articles to each category. To give young people an institutional forum for expression and debate, I was keen to set up a Council for Youth and Community Work as an institution with a proactive role designed to enable young people to contribute to building a nation based on unity, dignity and social justice, in keeping with the principles of democracy and responsible citizenship. Ninth: Strengthen the mechanisms of good governance, integrity in the public sector, and the fight against corruption, through the establishment of a coherent, full-fledged national institutional system. To this end, the role of the Court of Auditors and of the Regional Courts of Auditors will be reinforced in terms of control of public money and enforcement of the principles of transparency, responsibility, accountability and prevention of impunity. The Competitiveness Council and the National Authority for integrity and the prevention and fight against corruption will be enshrined in the Constitution. As security, in the strategic acceptation of the term, has become a global challenge, I was keen to provide our country with an advisory institutional mechanism in the form of a Supreme Security Council which will convene under my chairmanship. I may delegate the Council’s chairmanship to the Head of Government, on the basis of a duly specified agenda. The heads of the legislative, executive and judicial branches as well as the ministers, officials and personalities concerned will be members of the Council. The Security Council will be in charge of the management of internal and external strategic security issues, as well as structural and emergency matters. It will serve as a proactive instrument to ensure good security governance. Our overall perception of genuine democracy and good governance does not stop at a mere redistribution of central powers; rather, it is based on a distribution of powers and resources between the central authority and the regions, within the framework of an advanced regionalization system which I consider to be the pillar of the extensive reform and modernization of state institutions. The tenth basic element falls within the framework of this vision. It concerns the enshrining, in the Constitution, of our country as a unifier of regions; a country based on a democratic, highly decentralized system, which seeks to achieve integrated human and sustainable development, within the framework of the State’s national unity and its territorial integrity, and in keeping with the principles of balance and national and regional solidarity. To highlight this strategic choice in the draft Constitution, a chapter has been devoted to local governments and advanced regionalization, in light of the frame of reference I set out in my historic address on 9th March 2011. An organic law will define the powers of the State and of regions, in addition to the resources, organization and mechanisms of regionalization. As perfect as it may be, a constitution is never an end in itself, but rather a means for the establishment of democratic institutions. The latter require reforms and political overhauling in which all stakeholders should take part, so as to achieve our shared ambition, namely to promote development and enable all our citizens to lead a dignified life. In this sense, when the nation’s First Servant accomplishes his civic duty, and votes “Yes” to the draft Constitution which will be submitted to the people via referendum, it is because of a firm conviction that this draft Constitution duly takes into account the democratic principles, development-oriented institutions and mechanisms of good governance required; and because it safeguards the rights and dignity of all Moroccans, in keeping with the principles of equality and the rule of law. I shall vote “Yes” because I am convinced that the draft Constitution’s democratic essence will provide a strong impetus for the final settlement of the just cause of the Moroccan Sahara, on the basis of our Autonomy Initiative. 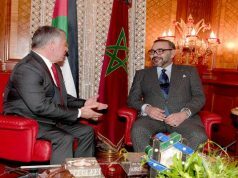 It will also enhance Morocco’s regional leadership as a State with a truly distinctive, unity-based democratic approach. 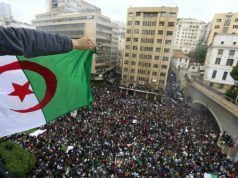 I therefore call on political parties, trade unions and civil society organizations, which participated freely, from beginning to end, and with a keen sense of commitment, in developing this draft Constitution, to seek to mobilize the Moroccan people, not only for the purpose of voting the draft Constitution, but also to see to it that it is implemented. 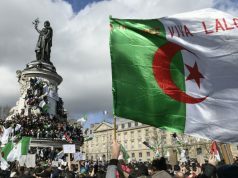 Indeed, it constitutes the best means for the accomplishment of the legitimate aspirations of our responsible, vigilant young people, and of all Moroccans, who aspire to achieve our shared ambition of building our nation of the solid foundation of tranquility, unity, stability, democracy, development, prosperity, justice, dignity, the rule of law and the institutions-based State. I shall be at the forefront, seeking an optimal implementation of this sophisticated constitutional project which strengthens the foundations of a constitutional, democratic, parliamentary and social monarchy, once the draft Constitution has, by the Grace of the Almighty, been approved by referendum, next July 1st. The Word of God is Truth.